Hutong, Lot 10 Shopping Center, Kuala Lumpur, Malaysia. 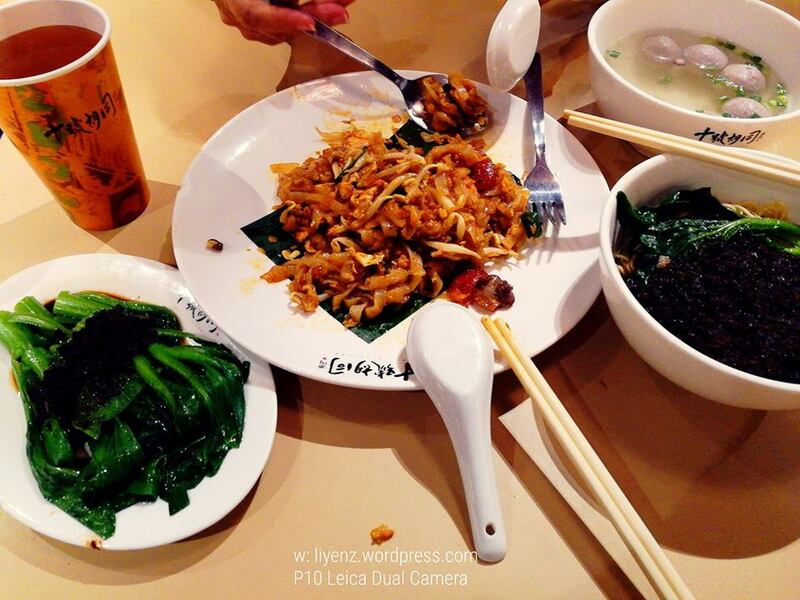 Hutong is an high class, air-conditioned and well-maintained food court in the KL city. It is located at the Lot 10 Shopping Center, it is just next to the Iseten Japanese supermarket. It is decorated with old decoration and display items and it is using all the old style’s tables and chairs. They are the famous stalls which you can find it around KL city. well-known eatery. Even I mentioned “high class”, the price of the food here is inexpensive when compared the price with other food court in the city. My aunt wanted to eat the Penang fried kway teow with egg and the minced meat noodle from the Soong Kee Noodle for lunch, therefore, we went out to the city with the MRT, a little bit adventurous with her on the Saturday’s afternoon. The stall which sells this Penang delicacy located opposite to the Bak Kut Teh stall. You cannot miss this stall when you are coming down from the side escalator as you can see some delicious pictures of the fried kway teow on the wall. If you wish to try the fried noodle with duck egg, they do offer it with additional cost. The fragrant from the fried noodle and the chili’s spiciness give a good kick. If you do not wish to eat spicy, you can tell them no chili. Although I am not sure they are originated from which famous stall in Penang city, the cook does a good job. I guess the cook who prepared my plate of fried noodle is not a local, however, he has a good skill and with the fresh ingredients like cockles, middle sized prawns and bean sprout and the “wok hei” (heat from the wok), the fried kway teow still as good as those in Penang. Next, we tried the minced meat and beef balls noodle from the Soong Kee noodle. You can find the original Soong Kee noodle stall in Petaling Street, the Chinatown in the KL city. I quite like their noodle cooks al-dente and it is not oily after mixed with the minced meat. More importantly, they add vegetable into the bowl of noodle which is rarely found. The taste is well-maintained, not overly done and it is not salty. The beef balls are handmade, springy and firm. Again, I guess the workers are not local but they are trained and monitored by their local masters who eventually helped out to prepare my bowl of noodle with extra minced meat. My set of noodle comes with a bowl of four beef balls, a plate of vegetable and a cup of hot Chinese tea.